Release your inner adventurer with Explorer of the Seas! The action-packed home away from home that is Royal Caribbean’s Explorer of the Seas travels far afield. Step onboard to discover the South Pacific, Australia and New Zealand, or Alaska and Canada, with shore excursions every day. Whether you want to surf on Bondi Beach or check out Seattle’s skyline, Explorer of the Seas has something for you. All day trips are hand-picked, and Royal Caribbean's knowledgeable guides will help you explore the region like a local. 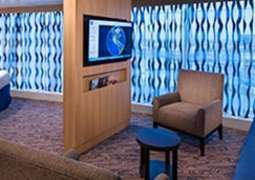 Back on board, stay connected with the ship's Wi-Fi and plan your activities with the interactive television in each stateroom. There’s plenty to keep you occupied – from the FlowRider surf simulator and climbing wall to the adults-only solarium and luxurious spa, the Explorer of the Seas makes for the perfect family getaway. When night falls, dance until the wee hours in one of the bars, indulge in some classy cocktails, or simply enjoy a family meal at one of the quality restaurants onboard. 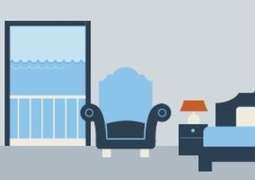 Choose from oceanview staterooms or interior ones, sized 150–178 square feet. 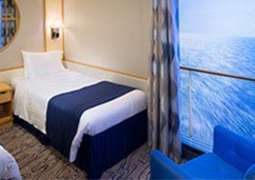 Whereas staterooms have private bathrooms and two single beds that convert to a king size bed, if you opt for a superior stateroom (179 square feet), a deluxe stateroom (164 square feet), or a junior suite (264 square feet), you can enjoy the benefits of a private balcony too. While family staterooms (262 square feet) are furnished with sofa beds, there’s also a choice of larger deluxe suites. 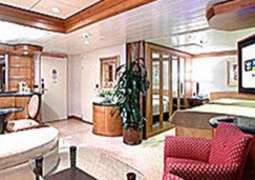 There are accessible staterooms, and room service is available 24 hours a day. Enjoy the American diner-style menu at Johnny Rockets or spoil yourself with fresh Italian flavors at Giovanni’s Table. Sample some fine dining options in the main dining room, or try Izumi’s fresh sushi. If none of that floats your boat, you’ll find dishes from all around the world in Windjammer. 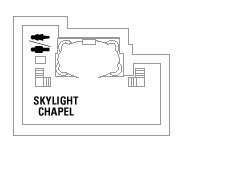 There are also plenty of cafés and bars to keep you hydrated night and day. With an award-winning kids' and teens' club that’s packed with activities, a babies’ soft play area, surf simulator, and climbing wall, Voyager of the Seas makes for a fantastic family holiday. Stay fit at the onboard gym or take a yoga class, unwind in the spa, or head out to the casino. There’s also an ice rink, a mini-golf course, theater, a selection of boutiques, a library, and an art gallery onboard, meaning no one will be stuck for things to do. During the day, dress is casual, and shorts and flipflops are allowed. Most evenings are smart casual, though there are formal nights that give you the opportunity to dress up – make sure to pack your suits and cocktail dresses!